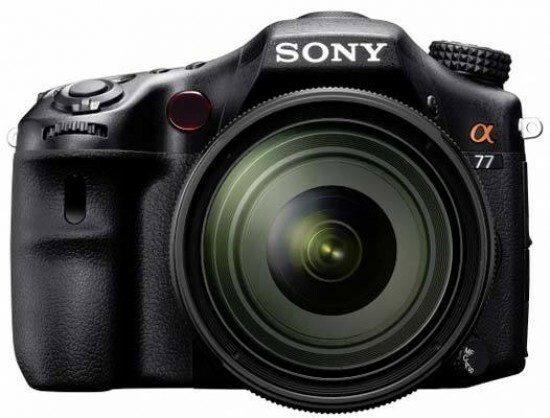 Reviews of the Sony A77 from around the web. After a four-year wait, Sony has returned to the enthusiast/semi-pro end of the DSLR market. Having made little impact in that market with the A700 that very closely resembled the conventional DSLRs made by Canon and Nikon, Sony has spent the intervening time developing something a bit different. The A77 builds on the company's 'translucent mirror' technology, and uses an electronic rather than optical viewfinder. The final result is a product that may look traditional, but is able to promise the unconventional. After all my combined time with the A77 and A65 DSLT's, I have to say that the A77 is a pretty impressive photographic instrument overall upon first use. Sony have indeed created a different product for the interchangeable lens user, that offers some high end DSLR advantages for much less money.